have the potential to meet the eligibility criteria of at least one of the three federal economic immigration programs included in Express Entry. An applicant's potential to meet the eligibility criteria will be assessed by an MPNP Immigration Officer based on the documents included with the application in the MPNP's inventory. The MPNP states that consideration under this initiative does not guarantee approval by the MPNP or IRCC. Applicants nominated by Manitoba will have to provide evidence that they meet federal criteria when submitting their permanent residence application through Express Entry. 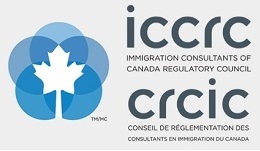 Paid immigration representatives and Canadian elected officials and their staff cannot be Manitoba Supporters. Children living in Manitoba cannot support their parents; instead, it is recommended they refer to Parent and Grandparent Sponsorship . In addition to the above requirement of demonstrating a connection to Manitoba, candidates must score at least 60 out of 100 points on the point assessment grid. Points are assessed based on five factors: language proficiency, age, work experience, education and adaptability.